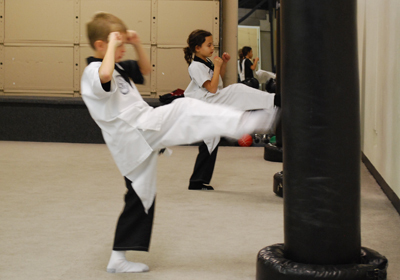 At Berdugo Martial Arts Center, our carefully structured programs go a lot further than just punching and kicking. Have self-discipline, focus and self-control. 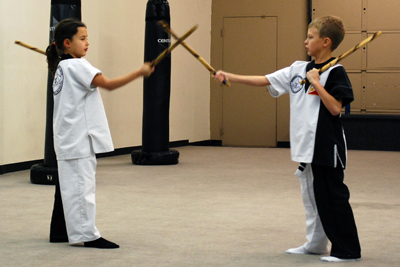 Our program challenges the child through complex exercises that are always evolving. This requires your child to grow and adapt as they progress through our program, which in turn demands the utmost concentration, and discipline. Be stronger, more fit, coordinated and flexible. Our students experience a combination of exercises for both body and mind. The body is strengthened by cardiovascular workouts as well as isometric and dynamic tension exercises. Flexibility is improved through a gradual process of fun, safe and easy stretching techniques. With our developed concentration exercises, the mind learns to operate each limb independently of each other (Multi Tasking), while still working as one, without thought. Persevere through challenges in and outside the classroom. 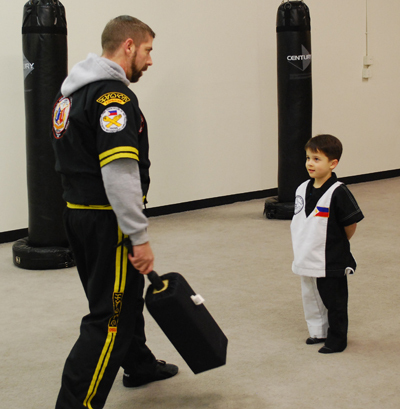 Our program will challenge your child in ways that no other program can. We achieve this through dynamic exercises that often require complex, ambidextrous movements. The focus and discipline invested in these activities will teach your child that when they set their mind to something, anything is possible. Be confident and stand-up to peer pressure. 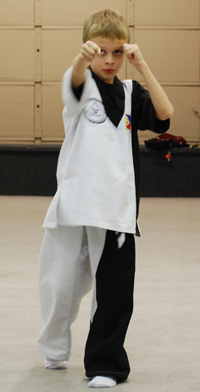 Our program gives your child confidence in how they move their body, speak and interact in the world. This means that they will grow into strong individuals with the ability to make the right decisions because they are confident in who they are. Learn how to work as a team and be a leader. We require that students work together to help each other overcome weaknesses and grow together through our program. This means that your child will need to learn how to help and lead others as they progress and grow. Our entire program is built on teamwork and partnerships to ensure that your child develops into team player, leader and socially responsible young adult. Because our program is based in the Philipino culture with strong family values, your ongoing support will be vital to us helping your child grow. As a team, we will be reshaping our community one child at a time. For more information, give us a call at (503) 657-3408 or contact us here. 1 Diamond, A. & Lee, K. (2011). Interventions shown to aid executive function in children 4 to 12 years old. Science, 333, 959-964.